All the great artists of our time are known by one name: Elvis, Madonna, Beyonce, and perhaps the greatest of all time, Prince. Prince is not one of the greatest vocalist, pop stars, guitarist, or even rock stars of all time. Prince rose above all those labels, and can only be regarded as one of the greatest all-around musicians of all time. The man was music in human form, drawing inspiration from all genres and styles, and constantly reinventing himself. The track “Musicology” is off the 2004 album of the same name, and shows how Prince hadn’t lost a step after 25 years of releasing albums. 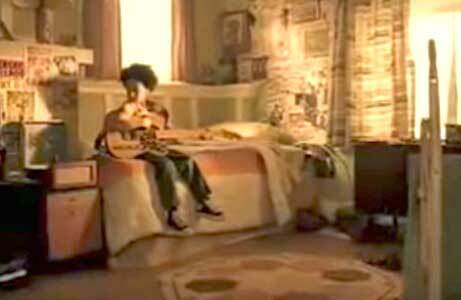 This young boy attempts to learn Prince’s “Musicology” on the guitar. The song is a funky, jazz-inspired rock song that is quintessentially Prince. It’s so many different types of music rolled up into one ball of pure talent and excellence. Lyrically, the song is a tribute to the funk music of the past, and a call for everyone to keep that feeling alive. Prince urges us to go back to a time when there were more connections between artists and instruments. The song’s music plays off that sentiment, as Prince’s vocals interact with the melody and beat in amazing and unexpected ways. 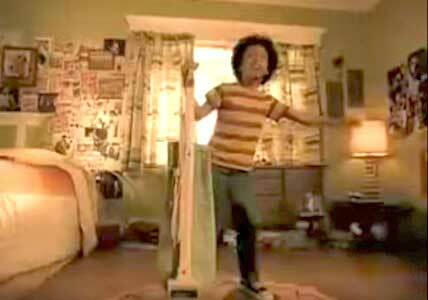 He’s dancing and singing just like Prince! The music video features a young boy wearing black high top chucks walking into a record store and purchasing Prince’s “Musicology” on vinyl. He takes the record home and plays it in his room. Soon, the boy attempts to play along with the song on his guitar, and shortly after that he’s in full rock star mode, dancing around the room in his chucks and singing into a microphone like he’s Prince. These scenes with the young boy are intercut with scenes of Prince actually performing the song in a nightclub. The moves that prince and the boy are displaying show how far music travels, and how it affects us in similar yet different ways. The video is fun, and gives a glimpse of Prince’s reach. It also matches the music perfectly, as anyone who listens to this track would definitely be dancing like the boy in the video. 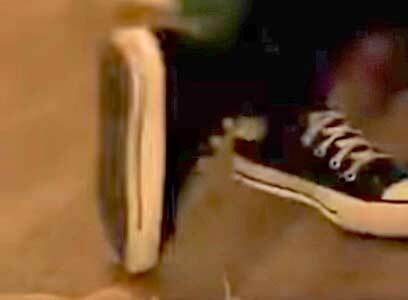 A look at the young man’s dancing feet.